THE WARD vs. SHUTTER ISLAND! 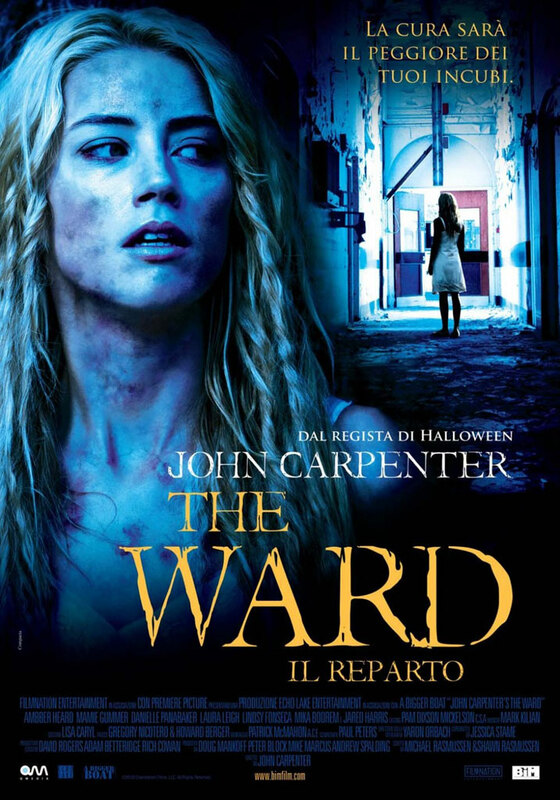 The recent release of John Carpenter’s first theatrical feature in ten years, THE WARD, left many film goers crying deja vu! 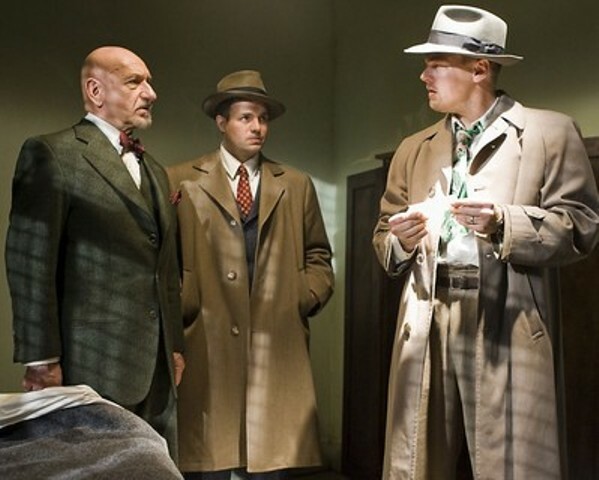 So similar to the more mainstream SHUTTER ISLAND, many wondered if perhaps Carpenter was working from the same script. According to Carpenter, he had no idea at the time he was making the same film as production overlapped and, at the recent FRIGHT NIGHT FILM FEST convention in Kentucky, urged fans not to even bother seeing his entry. THE WARD – Features an inmate at a 1960’s mental hospital seeking answers regarding missing patients. 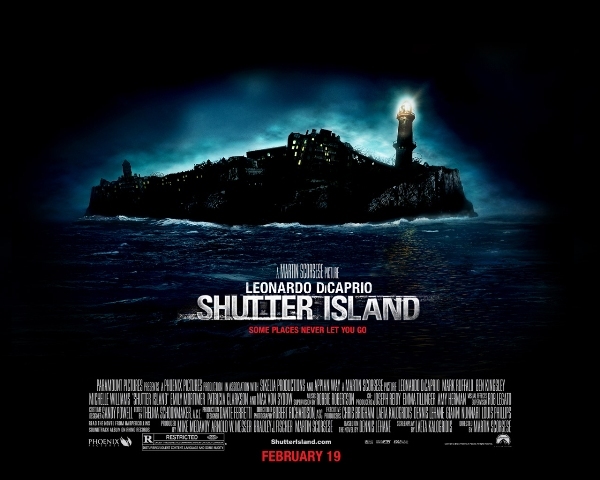 SHUTTER ISLAND – Features an investigator at a 1950’s mental hospital seeking answers regarding a missing patient. THE WARD – Features an innovative psychiatrist who approaches health care differently than the norm. 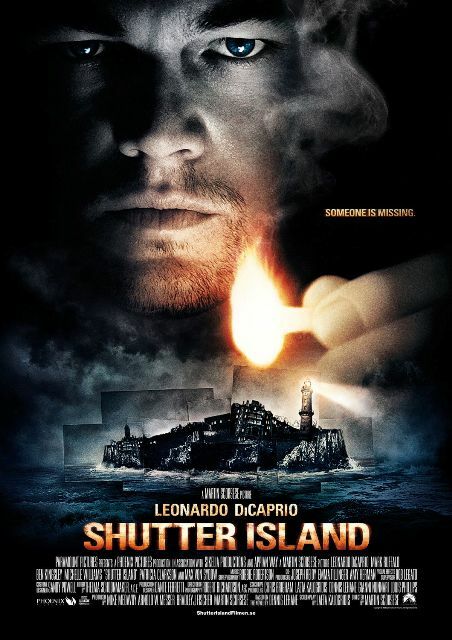 SHUTTER ISLAND – Features an innovative psychiatrist who approaches health care differently than the norm. THE WARD – Limited budget features familiar faces but no big name celebrities. SHUTTER ISLAND – Boasts bigger budget and A-list celebs such as Leonardo DiCaprio, Ben Kingsley, Michelle Williams, and Max von Sydow. SHUTTER ISLAND – Inmates = yuk! THE WARD – Fellow patients aren’t helpful though clearly hiding something. SHUTTER ISLAND – Patients questioned aren’t helpful and clearly hiding something. THE WARD – Main character can’t escape THE WARD despite numerous attempts. SHUTTER ISLAND – Main character can’t leave SHUTTER ISLAND despite attempts. THE WARD – features a scene with the characters listening to a phonograph while go-go dancing – soon interspersed with horrific images of a walking corpse! SHUTTER ISLAND – Features a scene with the characters listening to a phonograph amid scenes of the real-life horrors of a Nazi death camp. THE WARD – Lead female character (played by Amber Heard) seems more suited in 2011 and is not totally convincing as a child of the 60’s. SHUTTER ISLAND – DiCaprio’s New England accent is not only unconvincing, its cringe-worthy! I am not going to give away the twist endings here but, suffice it to say, they are VERY similar. SHUTTER ISLAND is more like a psychological thriller and waking nightmare not unlike JACOB’S LADDER. There is beautiful cinematography heavy with symbolism and flashback scenes that may, or may not, represent reality. The ending in SHUTTER ISLAND had more impact than THE WARD but this film is more artistic than terrifying. In contrast, THE WARD, is much more of a true horror film. It features a rotting corpse committing murders on the inmates one by one and was easier to follow. I can’t see myself ever watching SHUTTER ISLAND again, but THE WARD is worth a spot in your collection! So let me summarize: BOTH films have merit but, if you are wondering which to choose, I’d go with THE WARD all the way! …despite what John Carpenter says! This entry was posted in Movie Reviews and tagged Ben Kingsley, HORROR MOVIES, John Carpenter, Leonardo DiCaprio, Martin Scorsese, Max von Sydow, Michelle Williams, SHUTTER ISLAND, THE WARD. Bookmark the permalink. Great comparisons, guys! And I totally agree: many critics lambasted THE WARD, but I found it to be a simple-yet-satisfying return for Carpenter. As much as I love Argento and Romero, it seems like Carpenter is the returning champ that hasn’t really lost his touch! Daves, i love your work, BUT MUST YOU HAVE WHITE TEXT ON A BLACK BACKGROUND!??! My 55 year old eyes can hardly take it! Oh my, sorry about your eyes! We are looking into revamping things this year and will absolutely take what you said into consideration. Thank you for your feedback! i totally disagree guys, i had seen shutter island before the ward which could lean my opinion one way, but even if i had seen the ward then shutter island i think shutter island is a much better film. The ending summerises the whole story line whereas although you sort of understand the ward it is as if the makers ran out of money and rushed the end. Shutter island was more appealing to me, but to teenagers and men, The Ward is recomended, for anyone who has half a brain, Shutter Island is the way forward 🙂 Good commentary on the resemblance. Thanks for your input Terry! 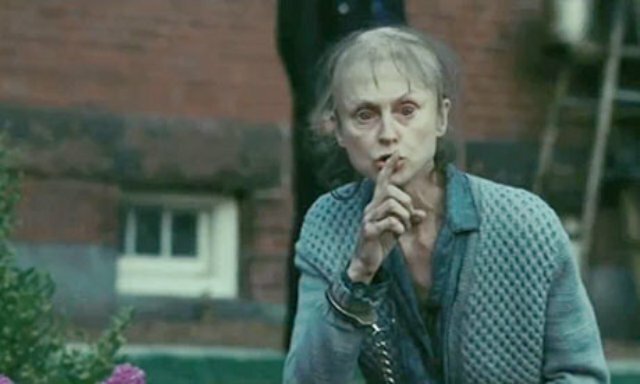 There is no question that, overall, SHUTTER ISLAND is a better film – artfully crafted and with top notch acting (except for DiCaprio’s terrible New England accent). THE WARD, however, is much more of a “horror” film and, as this is a horror themed blog, gets our seal of approval!